You make a kitchen remodel budget and you check it twice, but that doesn’t mean you are going to stay within your budget. In reality, most kitchen renovation projects go over budget. According to the experts you should plan on going over, and include this in your actual budget. Even if you have $40,000 or $50,000 to work with, your chances for going over budget is still fairly high. Despite how easy it is to exceed your kitchen renovation budget, it is possible to stay within budget. So how do you actually stay true to your designated price limit? Here are the top 10 tips to help you stick to your kitchen remodel budget. Knowing which components of your remodel take up the majority of your budget is very useful when creating your original plan of action. 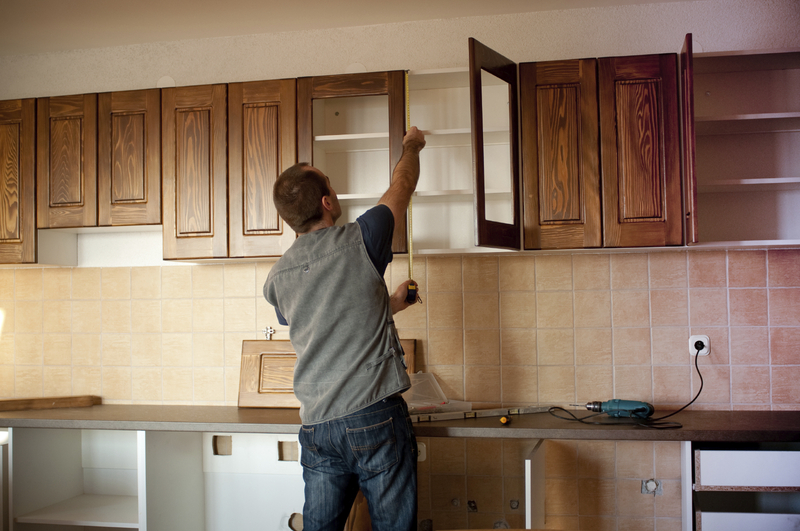 In general, the most costly portions of any kitchen remodel are the cabinets and labor. Knowing what things actually cost will help you determine the correct budget. Speak with a contractor or professional in the industry, share your budget and scope of plans to see if they think your budget is reasonable with your expectations. The unknown is bound to occur when remodeling your kitchen, especially if you are undertaking a large overhaul. The experts recommend setting aside 20% of your overall budget for unexpected expenses. It might be hard to give up that marble backsplash in exchange for a 20% ‘worst case scenario’ fund, but you’ll be mighty glad you did when something unexpected arises. On the other hand, if you get through your entire project and don’t use all of that 20% set aside, you can add your dreamy marble accents with confidence. Make a list that covers all of your priorities, and then organize this list by the most important down to the least important. Knowing what you really want will help you eliminate stuff you don’t really want that might tip your budget overboard. The majority of people use a home equity loan to pay for a kitchen remodel, this type of loan is especially popular because it is tax deductible. Your method of payment may vary, but you need to know what it is so that you can figure out how much room you really have in your budget. This should really be listed as #1, simply because you shouldn’t start planning anything until you know just how much you can spend. You also want to make sure that you have the money ready to go because you need to pay for materials and contractor fees up front. Your kitchen renovations are going to take away your ability to eat at home, at least to some degree. The cost associated with eating out while your kitchen undergoes renovations is important to consider, as this can add up quickly and eat away at your budget. In some cases you will need to stay elsewhere for a few nights during renovations, if this applies to you these are other costs to factor in. 8. Buy Kitchen Cabinets Wholesale! 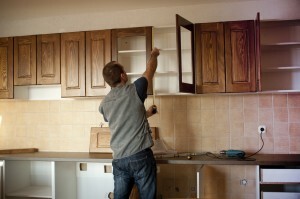 Buying your kitchen cabinets wholesale will save you a lot of money off of inflated retail costs. By saving money on the most expensive component of a kitchen remodel (the cabinets) you are already ahead of the game from the get-go, making it easier to stay on budget. Tops Kitchen Cabinets offers the latest kitchen designs at wholesale prices you are going to love just as much as a newly remodeled kitchen!